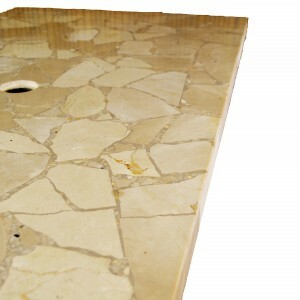 The Montreux table offers a more compact 6 seat dining set, made from hand cut travertine and laid in a crazy paved fashion each table is unique. 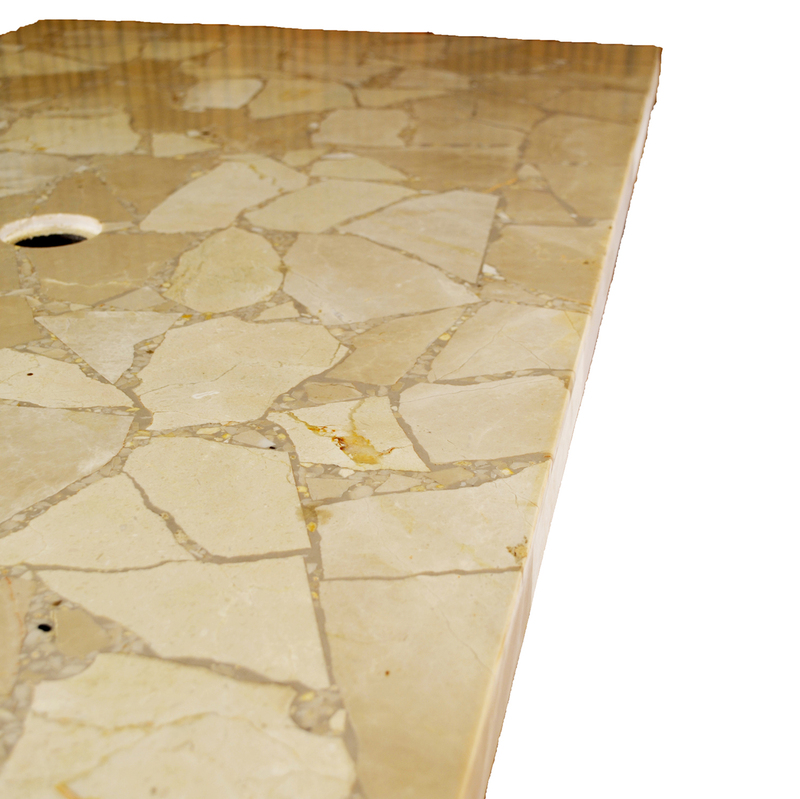 The top is grouted and then polished to a very smooth finish and will also accommodate a parasol. 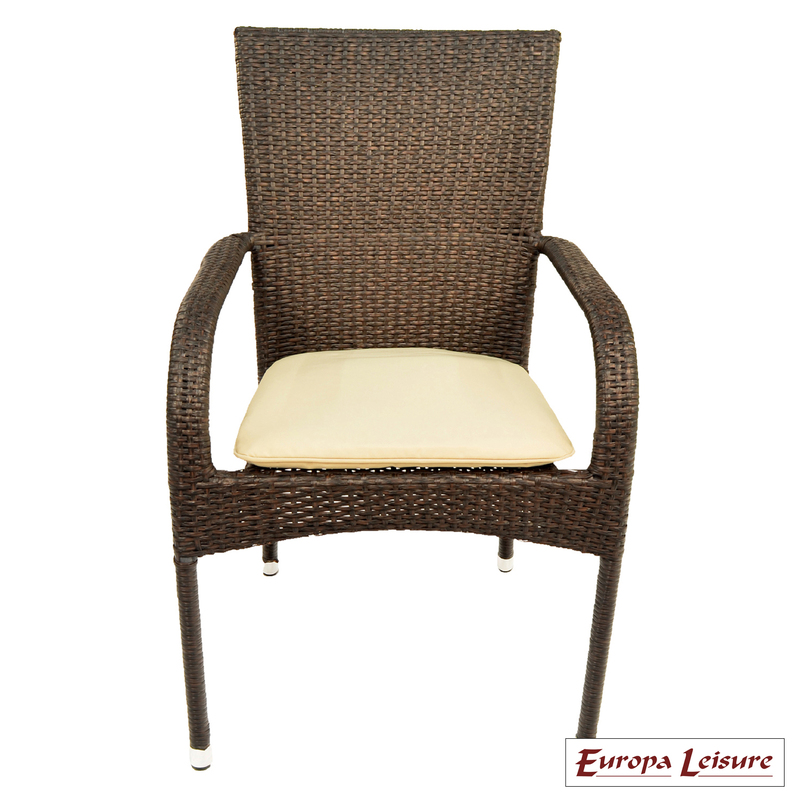 The Castello chairs come with a cushion as standard and are extremely comfortable, they also stack for convenient storage. 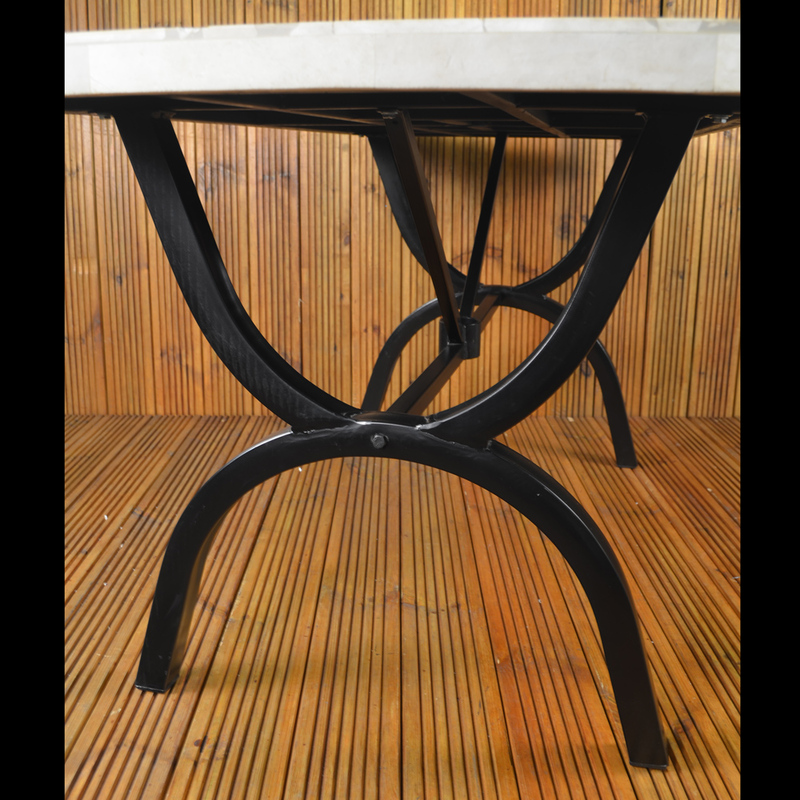 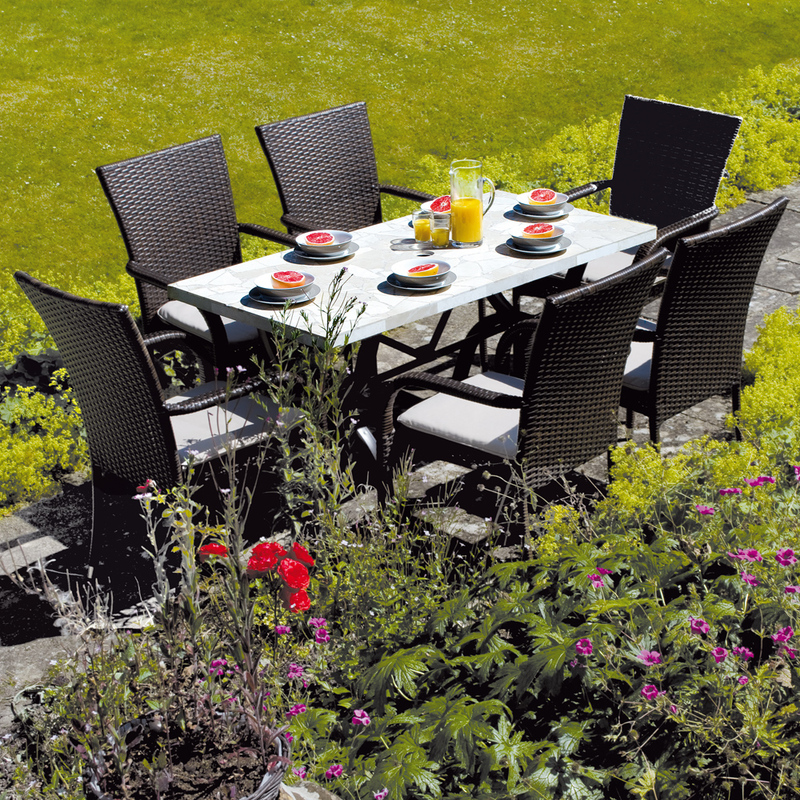 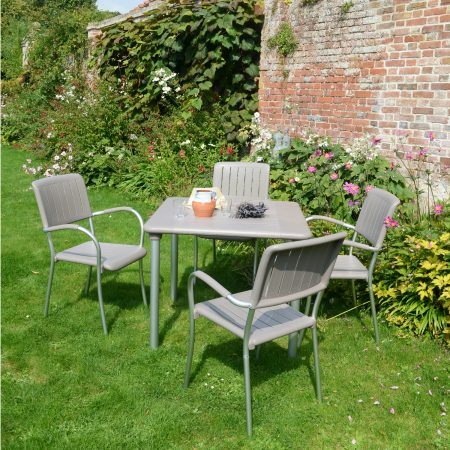 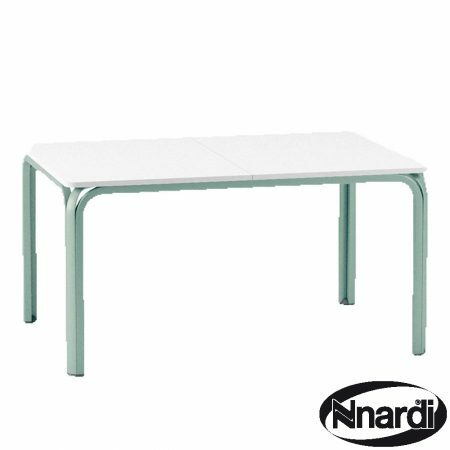 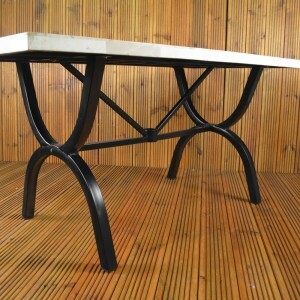 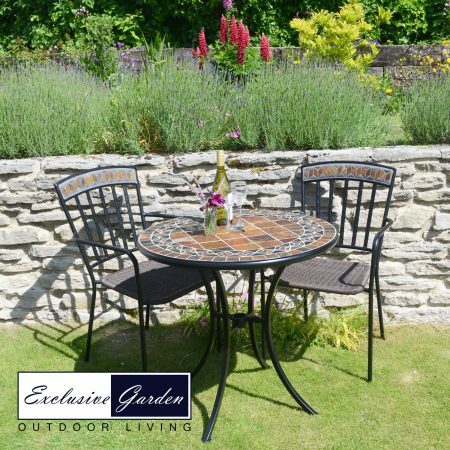 The Montreux is a ‘compact’ 6 seater table and ideal for the smaller garden where space is at a premium. 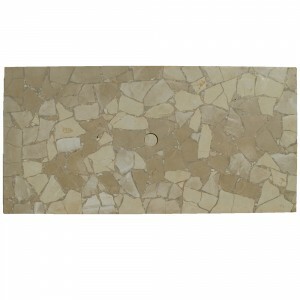 It is made from natural travertine laid in a ‘crazy-paved’ fashion, grouted and polished to a smooth finish. 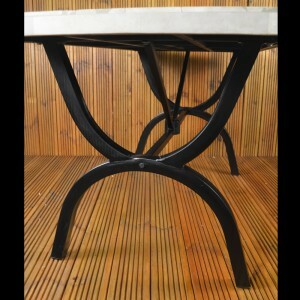 Note the natural stone edge to the table. 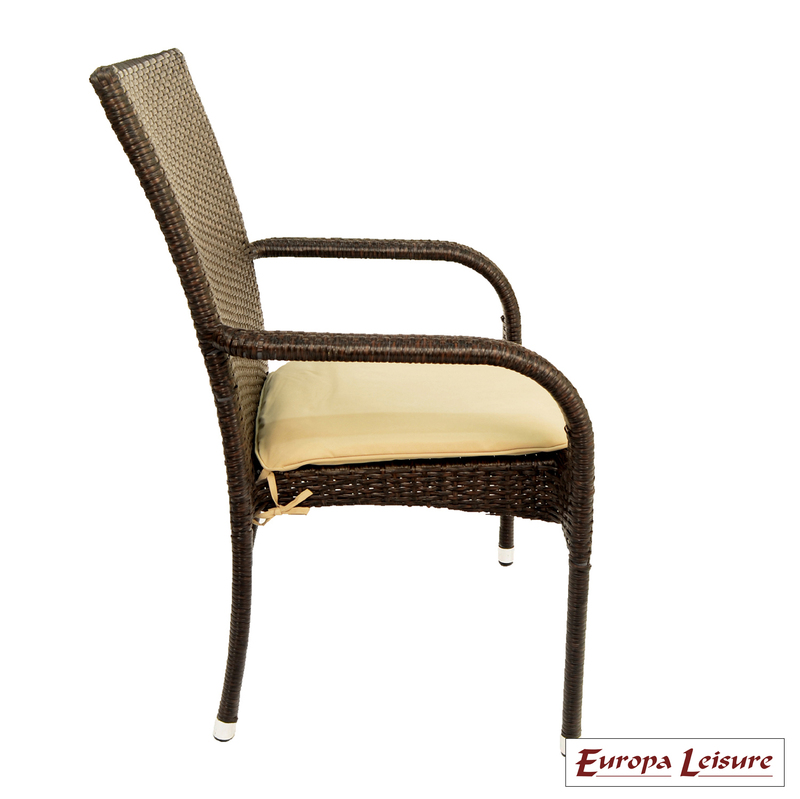 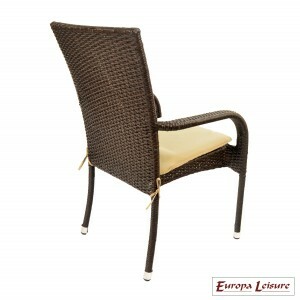 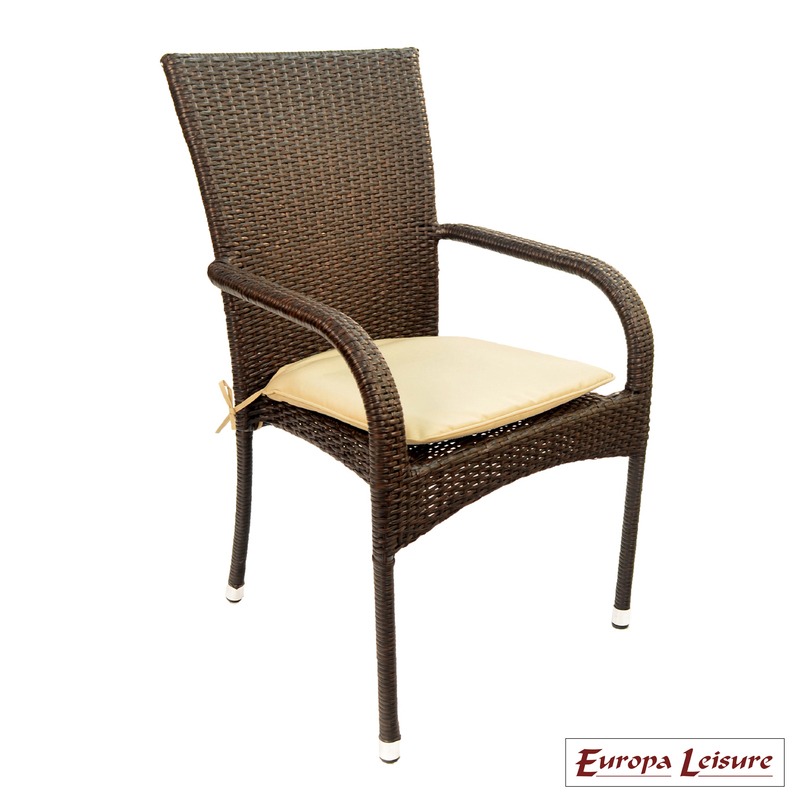 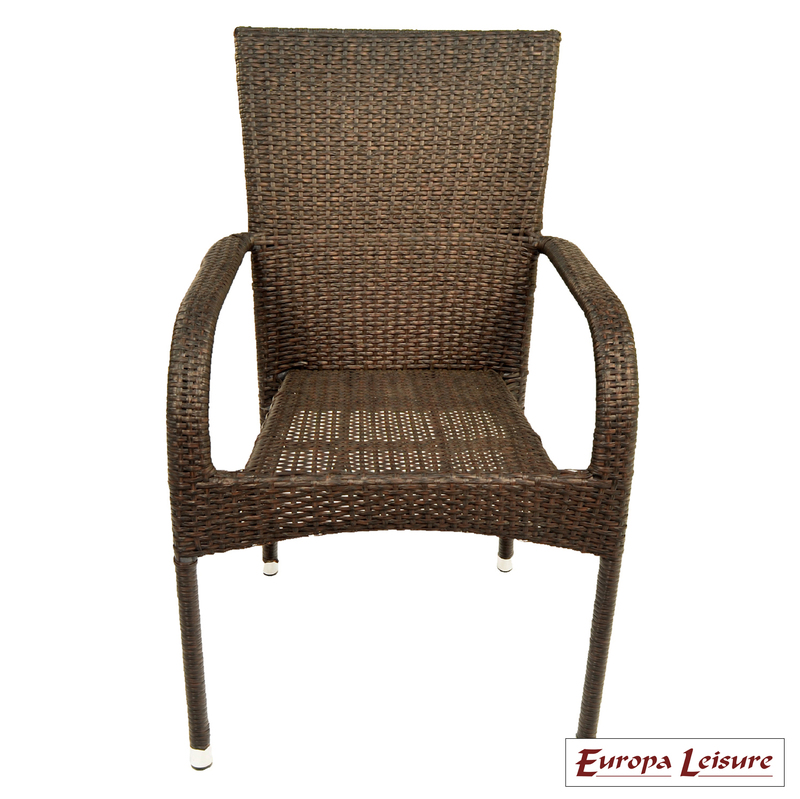 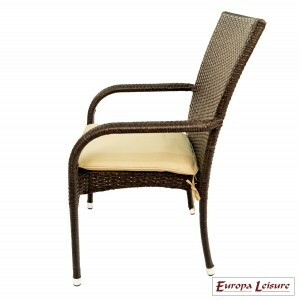 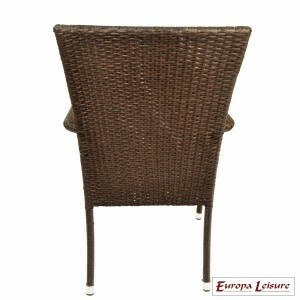 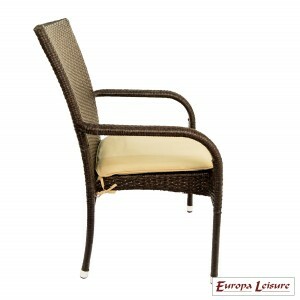 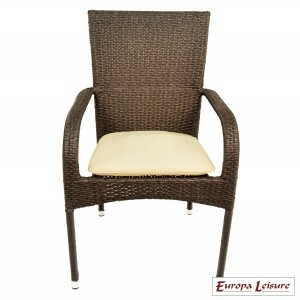 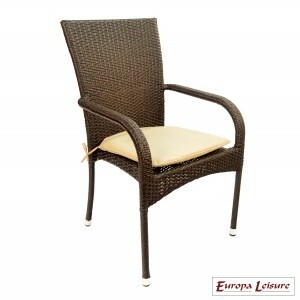 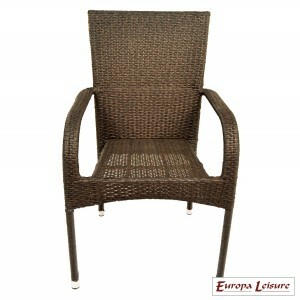 The Castello armchair is fully woven with weather-resistant wicker and includes the seat pad cushions shown.